SAN DIEGO — Locals are encouraged to send in photographs representing San Diego Bay, the Port of San Diego and its five member cities. 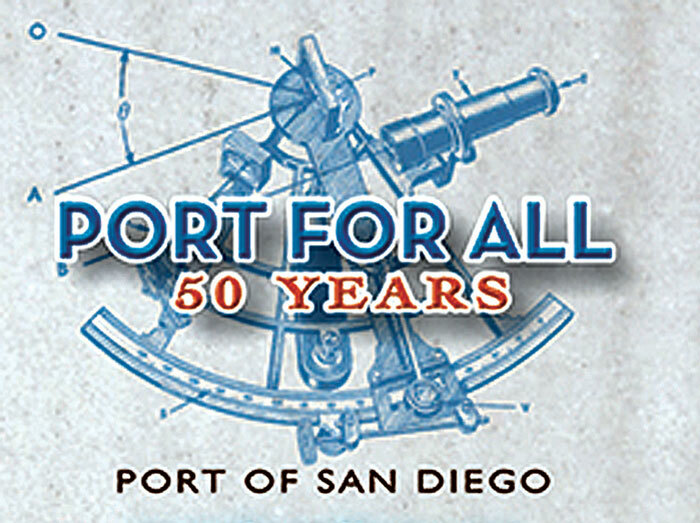 The “Port for All” photo contest commemorates the Port of San Diego’s 50th anniversary. It began June 17 and is open for online submissions until July 19. Awards will be announced for best portrayal of member cities, best examples of the port’s mission, and best photograph overall. The goals of the contest are to raise awareness of the port’s missions in maritime trade, recreation, environmental stewardship and public safety; engage with the public through the sharing of original photos; and encourage community involvement from the port’s five member cities: Chula Vista, Coronado, Imperial Beach, National City and San Diego. Winning photos will be put on display in Port of San Diego buildings and will be acknowledged at a Board of Port Commissioners meetings. The photos will be promoted via social media channels and the port’s marketing materials. Entries will be accepted through July 19, only one entry is allowed per person. If the photo depicts a person, the subject must live within the boundaries of port tidelands jurisdiction. All photos must be taken on port tidelands. By entering the contest, each participant is declaring that he or she has received permission from any persons depicted, to use their image. Winners must sign a hard copy version of a Waiver of Claims form to be provided by the district, prior to the port announcing their winning entry. Contest managers have right to remove any entries. For more information, visit portofsandiego.org.